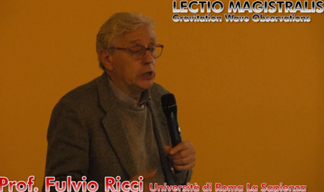 More than 800 participants from 70 different countries in the world, joined the conference and presented the most relevant recent results on the understanding of the Universe, achieved thanks to Albert Einstein’s equations of general relativity. 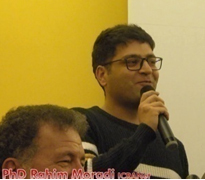 Thanks to the financial support provided by IUPAP, ICTP and ESA, a lot of scientists from developing countries had also the possibility to attend the conference. 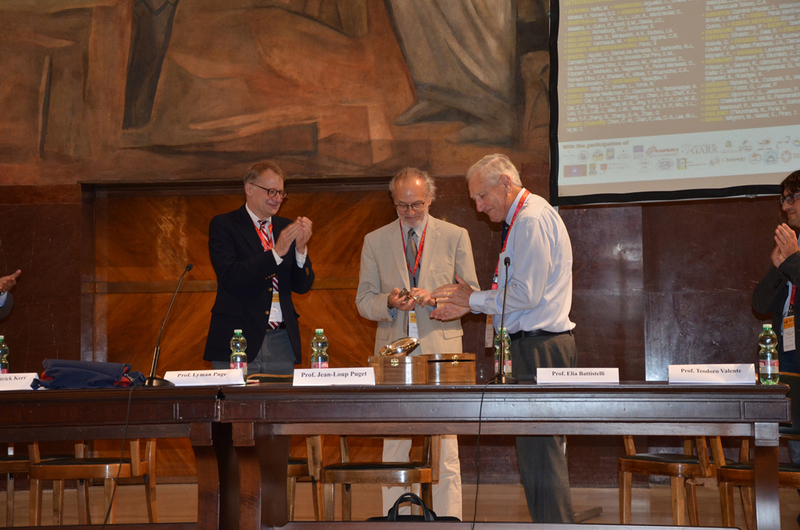 * The Planck Scientific Collaboration (ESA), presented to Jean-Loup Puget, the Principal Investigator of the High Frequency Instrument (HFI) - "for obtaining important constraints on the models of inflationary stage of the Universe and level of primordial non-Gaussianity; measuring with unprecedented sensitivity gravitational lensing of Cosmic Microwave Background fluctuations by large-scale structure of the Universe and corresponding B-polarization of CMB, the imprint on the CMB of hot gas in galaxy clusters; getting unique information about the time of reionization of our Universe and distribution and properties of the dust and magnetic fields in our Galaxy". 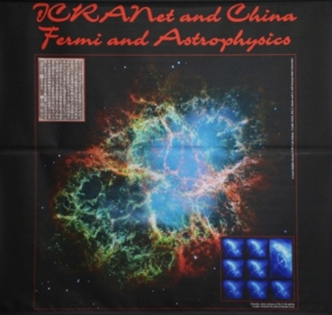 * Hansen Experimental Physics Laboratory At Stanford University, presented to Research Professor Leo Hollberg, HEPL Assistant Director - "to HEPL for having developed interdepartmental activities at Stanford University at the frontier of fundamental physics, astrophysics and technology". 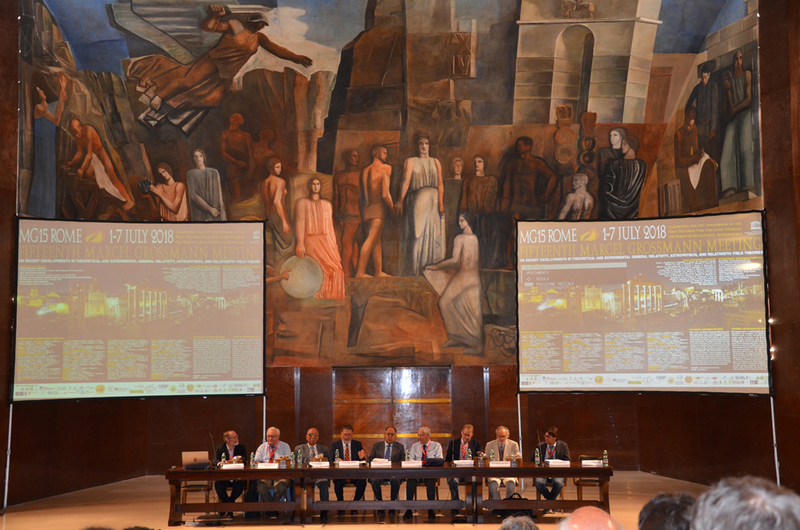 Fig.2 – MG15 Awards Ceremony From left to right: Prof. Leo Hollberg, Prof. Rashid Sunyaev, Prof. Shing-Tung Yau, Prof. Remo Ruffini, Rector Eugenio Gaudio, Prof. Roy Kerr, Prof. Lyman Page, Prof Jean-Loup Puget and Prof. Elia Battistelli. Fig. 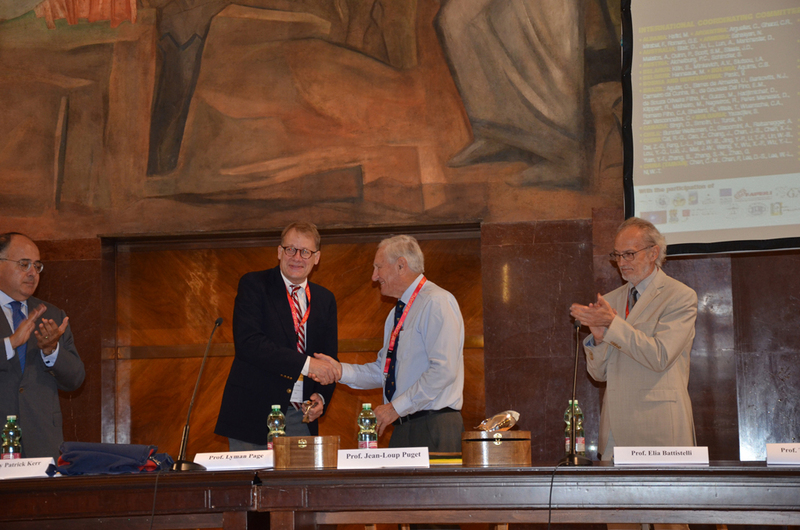 3 – Prof Jean-Loup Puget (ESA) receiving the MG15 institutional award. Fig. 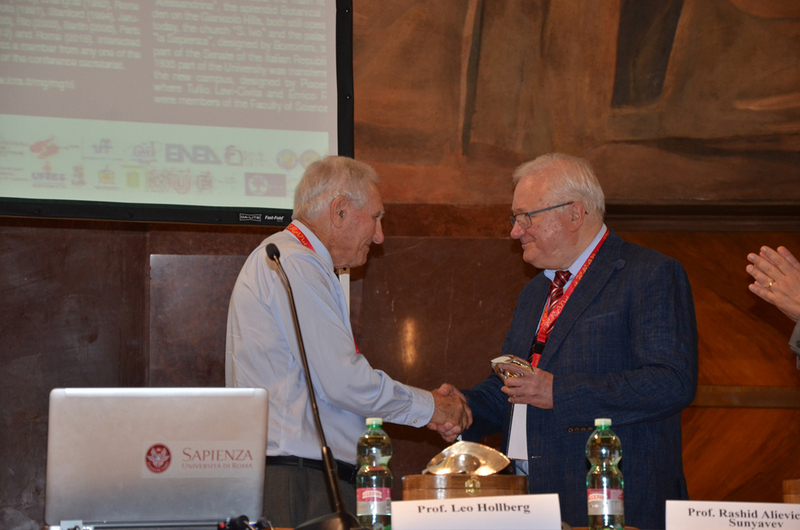 4 – Prof. Leo Hollberg (HEPL) receiving the MG15 institutional award. 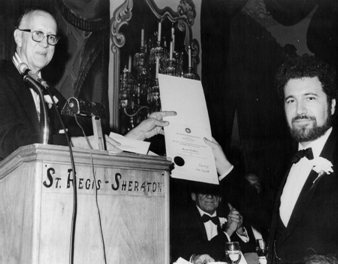 Fig 5, 6, 7 – From left to right: Prof. Lyman Page, Prof. Rashid Sunyaev and Prof. Shing-Tung Yau receiving the MG15 individual awards. 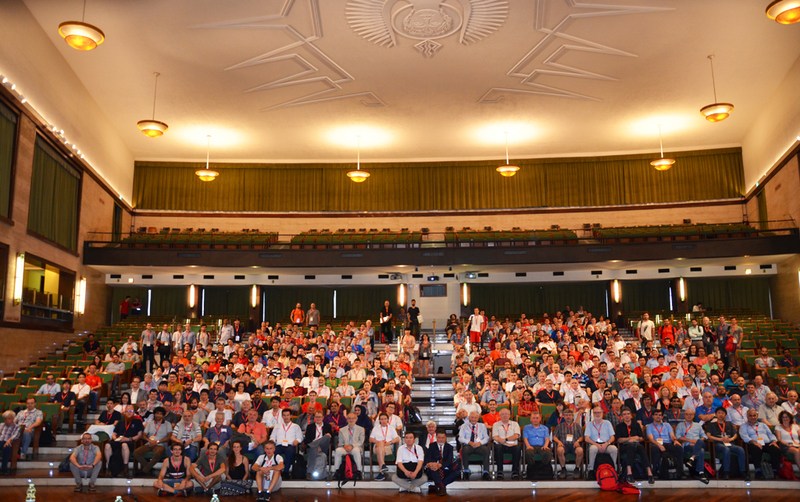 During this six day conference, a variety of topics were discussed in the morning plenary sessions, beginning with Mathematical and general relativity topics on Monday, Kilonovae and Gravitational Waves on Tuesday, Future Precision Tests of GR on Wednesday, GRBs and CMB on Thursday, Multimessanger Astrophysics on Friday and The Frontiers on Saturday. 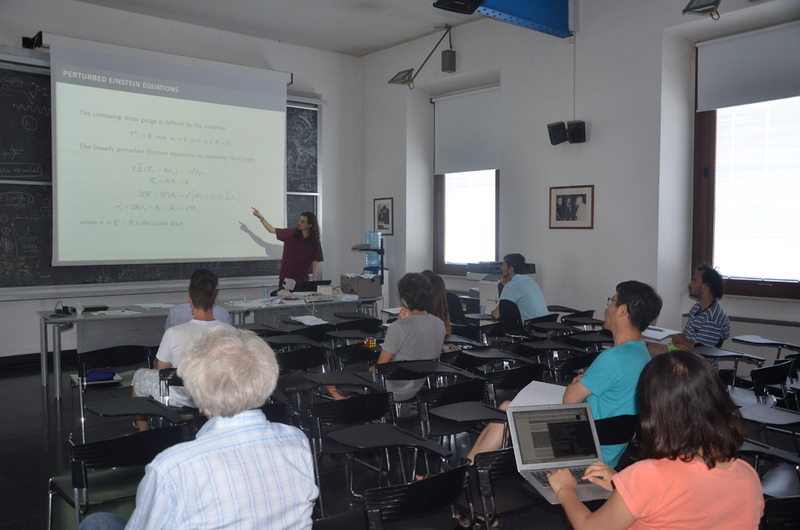 Up to 26 parallel sessions per days took place in every afternoon sessions, within the University Campus and the nearby CNR building, covering the following topics: Accretion, Alternative Theories, Black Holes, Binaries, Boson Stars, Cosmic Microwave, Cosmic Strings, Dark Energy And Large Scale Structure, Dark Matter, Education, Early Universe, Gamma Ray Bursts, Gravitational Waves, High Energy, History Of Relativity, Neutron Stars, Precision Tests, Quantum Gravity, Strong Field and White Dwarfs. 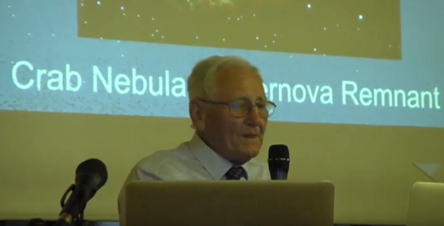 There were several public lectures delivered in the evening sessions, namely by Jeremiah Ostriker, Malcolm Longair, Marc Henneaux, Jean-Loup Puget, Lyman Page and Anne Archibald. 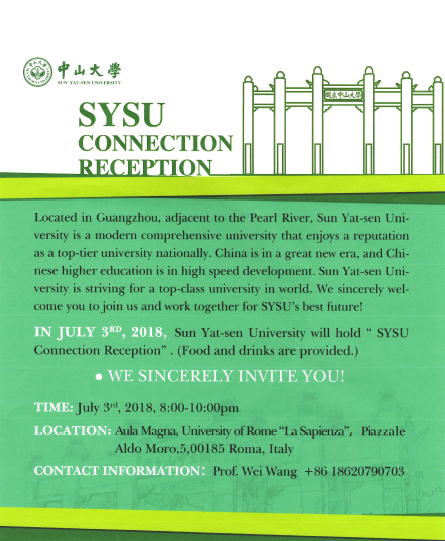 Several social events were organized for all the participants of the meeting: on Tuesday evening, eminent Professors and researches from Sun Yat-Sen University (China) presented their Institute and celebrated the signature of the cooperation agreement with ICRANet, by organizing the interesting event “SYSU Connection reception”. 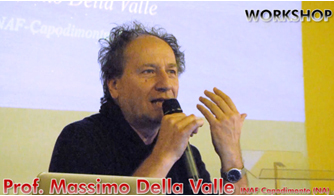 On Wednesday evening there was the official MG15 banquet, held at Palazzo Colonna, an ancient palace in the core of Rome, and this was the occasion for Ms Claudia Graf-Grossmann (niece of Marcel Grossmann), to present to the auditors the biography of her grandfather, whose preface was edited thanks to the collaboration with Professor Remo Ruffini, Director of ICRANet. 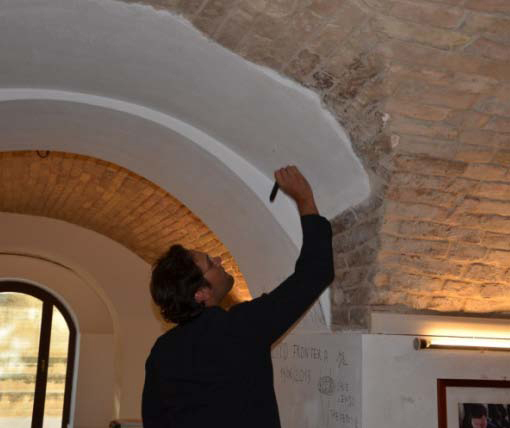 The participants had also the possibility, on the same day, to visit Galleria Colonna, the private art collection of the Palace. Currently, ICRA and ICRANet are taking care of the MG15 Proceedings, which will consist in open access e-book proceedings and will be published by World Scientific, Singapore, in 2019. 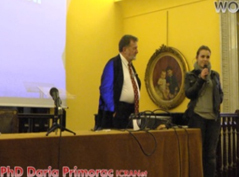 On 23 and 24 May 2018, Professor Ruffini, thanks to the collaboration of Professor Mimoza Hafizi, flew to Albania to met Prof. Dr. Mynyr Koni, Rector of the University of Tirana: this meeting was the opportunity for them to discuss about the possibility for that institute, to become full Member of the IRAP-PhD with all the rights and privileges envisaged by the IRAP-PhD Statute. 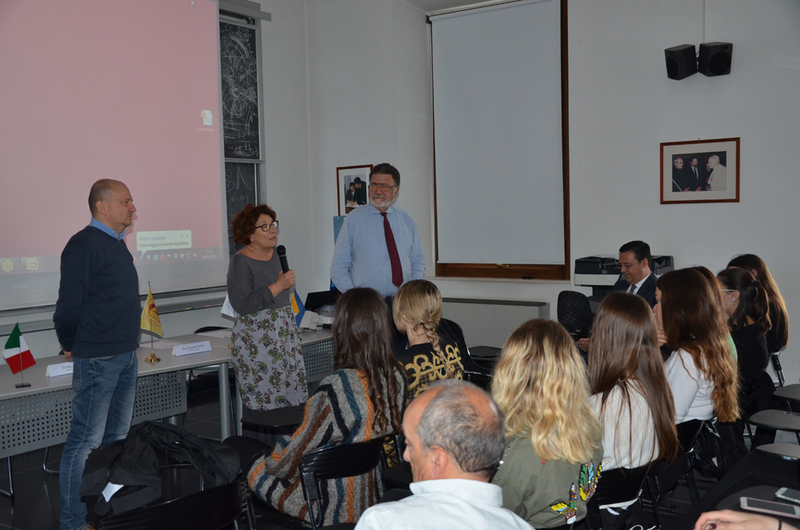 The visit was a follow up of the unanimously proposal of the University of Tirana as potential member of the joint doctorate, as emerged in the meeting of the IRAP-PhD Faculty, held on 30 April 2018. Professor Ruffini was officially appointed as member of the “Horizon 2020 Advisory Group for the Marie Sklodowska-Curie actions on skills, training and career development (MSCA) programme” for the period 2018-2020 (3rd mandate). 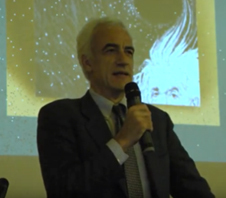 The European Commission was renewing the membership of its Advisory Groups which provide external high-quality input to help inform, assess, enrich and keep up-to-date its reflections and ideas for the monitoring and development of the Horizon 2020 Work Programme and Professor Ruffini was selected for his specific knowledge, skills and experience in the field of science. His biography was also inserted in the Who’s Who booklet of the group. The appointment took place on the occasion of the 12th Meeting of the MSCA Advisory Group, held in Brussels on 28 June 2018: this was the first meeting of the AG under its third configuration for Horizon 2020. 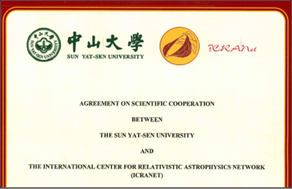 On the 4 July 2018, ICRANet signed a cooperation agreement with the Sun Yat-Sen University of Guangzhou – China, which will be valid for 5 years. 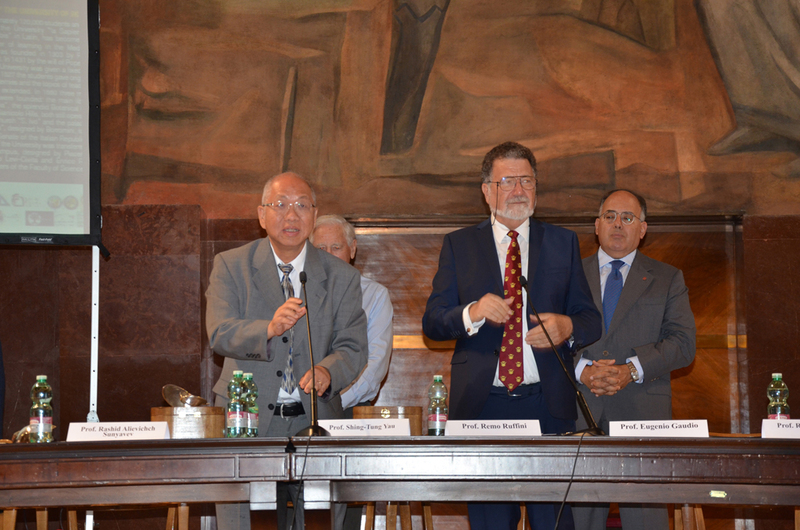 The document was signed by Prof. Luo Jun, President of the Sun Yat-Sen University, and Prof. Ruffini, Director of ICRANet, during Professor Luo participation as a plenary speaker to the 15th Marcel Grossmann Meeting, held in Rome from 1 to 7 July 2018. 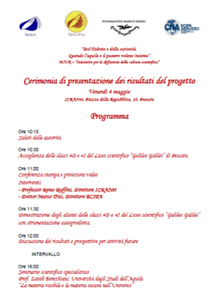 Eminent Professors and researches from this University enjoyed MG15, and took this opportunity to present their Institute and celebrate the signature of the cooperation agreement with ICRANet, by organizing the interesting event “SYSU Connection reception” in University of Rome La Sapienza. 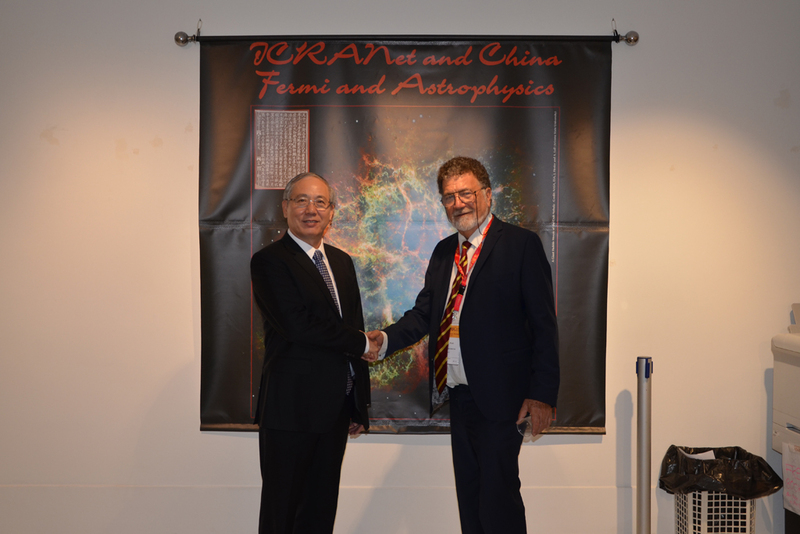 The main joint activities to be developed under the framework of this agreement include: the promotion of theoretical and observational activities within the field of Relativistic Astrophysics; the institutional exchange of faculty members, researchers, post-doctorate fellows and students; the promotion of technological developments; the development of Data Centers for Astrophysical data in all wavebands; the organization of training and teaching courses, seminars, conferences, workshops or short courses, and the development of inter-institutional research areas associated to local graduate programs; and joint publications. 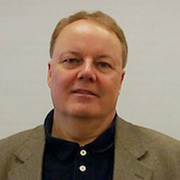 On the 13 June 2018, ICRANet Faculty Professor Gregory Vereshchagin has been awarded the Doctor of Sciences (D Sc) degree in theoretical physics, as announced by the Higher Attestation Commission (VAK) of Belarus (http://www.vak.org.by/node/4418). 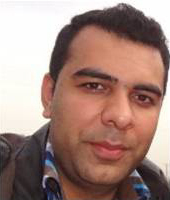 His dissertation “Kinetics, hydrodynamics and radiation of relativistic plasma" has been successfully defended on the 27 December 2017 (http://vak.org.by/node/3942). 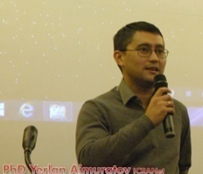 Professor Vereshchagin has become one of the few young Belarusian researchers, awarded of this highest scientific degree in his country under the age of 40. Fig. 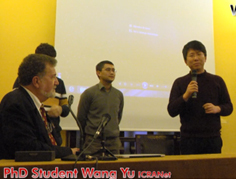 23 - Professor Gregory Vereshchagin during his dissertation on the 27 December 2017. 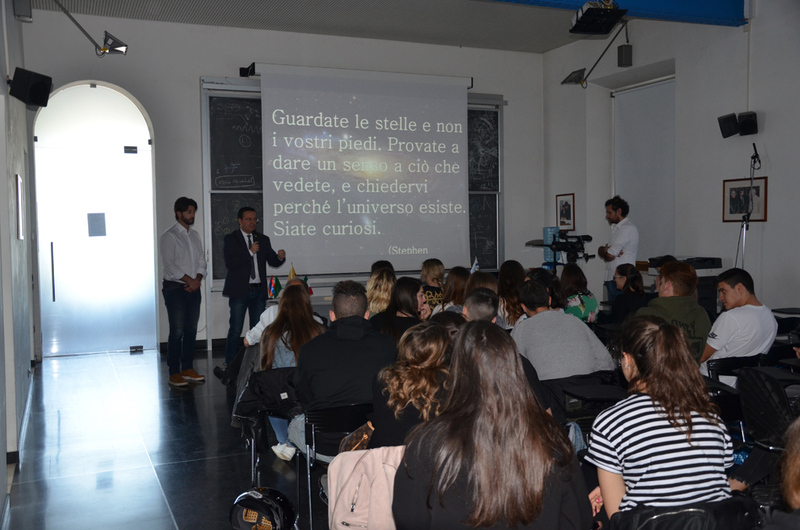 From 17 to 30 June 2018, Professor Shadi Tahvildar-Zadeh (Rutgers, The State University of New Jersey – USA), visited ICRANet center in Pescara and gave a series of seminars to faculty members and students. 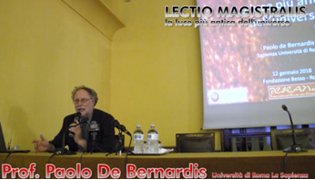 The main topics discussed in his talks were: Theories of matter: Weyl, Einstein and Mie, the classification of singularities, the Bianchi identities and equations of motion, the Born-In field non linear electrodynamics, the Bopp-Landé-Thomas-Podolsky linear electrodynamics, the zero-gravity space times and Ring-like particles, the general relativistic hydrogen, the ground state of positronium and dark matter, the photons as particles and the electron-photon systems. 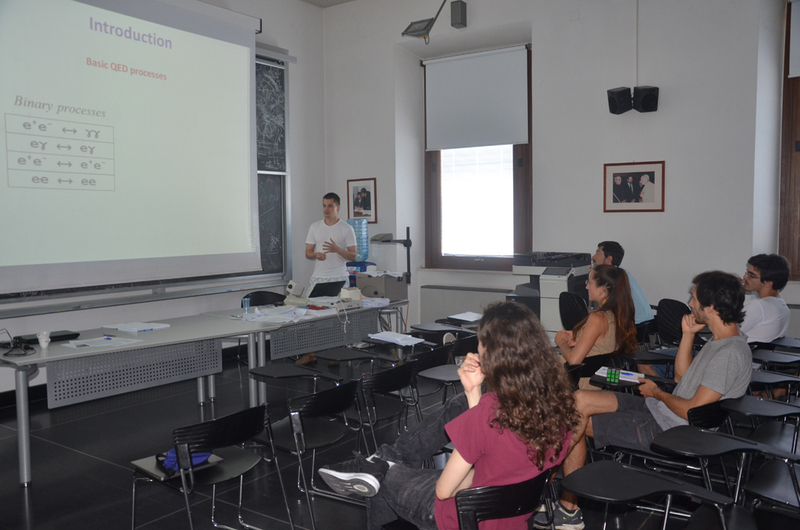 On the 24 July 2018, Sergio Andrés Vallejo Peña, a visiting student from the Universidad de Antioquia (UDEA) – Colombia, gave two seminars on "The effects of anisotropy and non-adiabaticity on the evolution of the curvature perturbation" (https://arxiv.org/abs/1804.05005) and "The MESS of cosmological perturbations" (https://arxiv.org/abs/1806.01941). 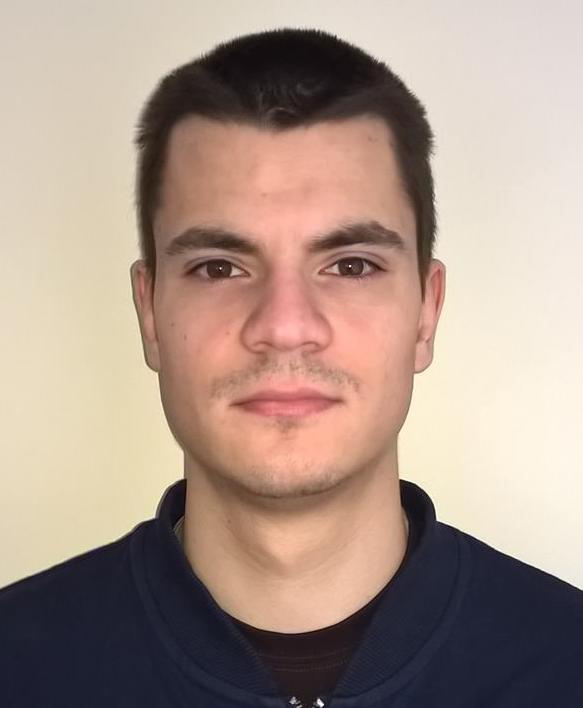 On the 24 July 2018, Mikalai Prakapenia (Researcher at ICRANet-Minsk center and PhD student at Belarusian State University), gave an important seminar titled “Thermalization of electron-positron plasma with quantum degeneracy”. 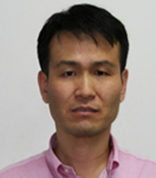 He reported on the analysis of the non-equilibrium electron-positron-photon plasma thermalization process studied using relativistic Boltzmann solver, taking into account quantum corrections both in non-relativistic and relativistic cases. Collision integrals are computed from exact QED matrix elements for all binary and triple interactions in the plasma. It is shown that in non-relativistic case binary interaction rates dominate over triple ones, resulting in establishment of kinetic equilibrium prior to final relaxation towards thermal equilibrium, in agreement with previous studies. On the contrary, in relativistic case triple interaction rates are fast enough to prevent establishment of kinetic equilibrium. 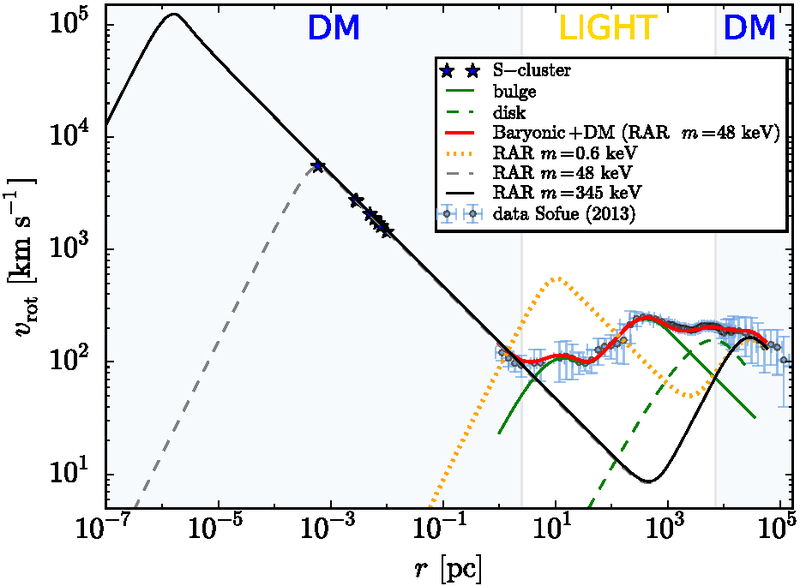 It is shown that thermalization process strongly depends on quantum degeneracy in initial state, but does not depend on plasma composition. 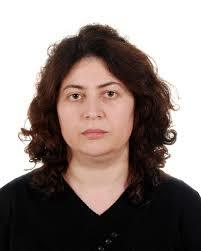 From 30 April to 13 May 2018, Professor Sonila Boçi from University of Tirana – Albania, visited ICRANet center in Pescara. During her visit, she had the opportunity to discuss her scientific research and to have fruitful exchange of ideas with other researchers from ICRANet and from different parts of the world. 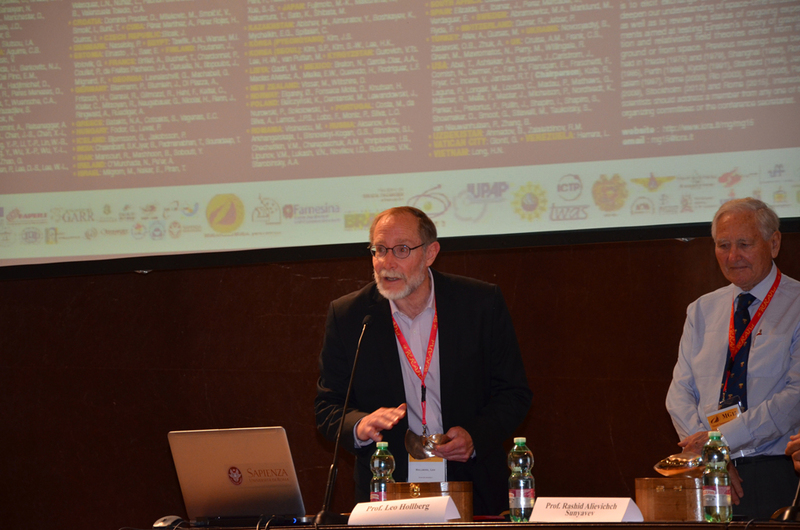 Prior and/or during their visit, those scientists had the opportunity to participate to the 15th Marcel Grossmann meeting in Rome, and to carry on important analysis and research with other ICRANet scientists from all over the world. 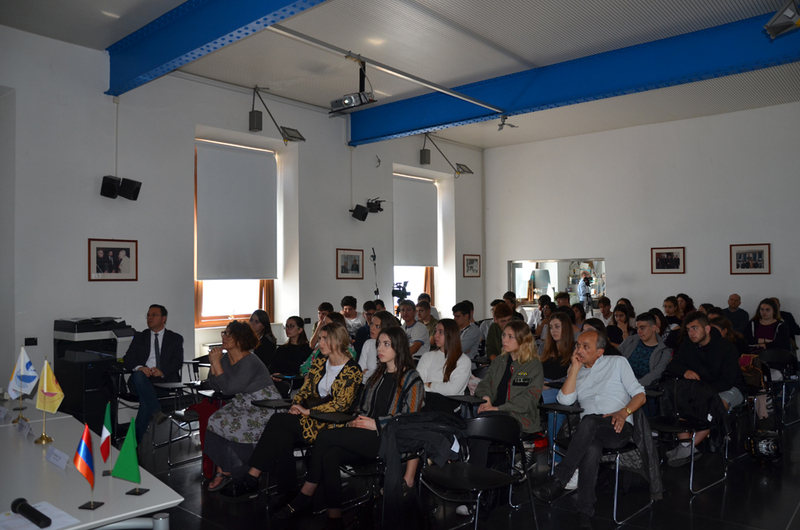 Following the Agreement between ICRANet and Al-Farabi Kazakh National University, two groups of Kazakh students, under the supervision of Professor Medeu Abishev, visited ICRANet center in Pescara. 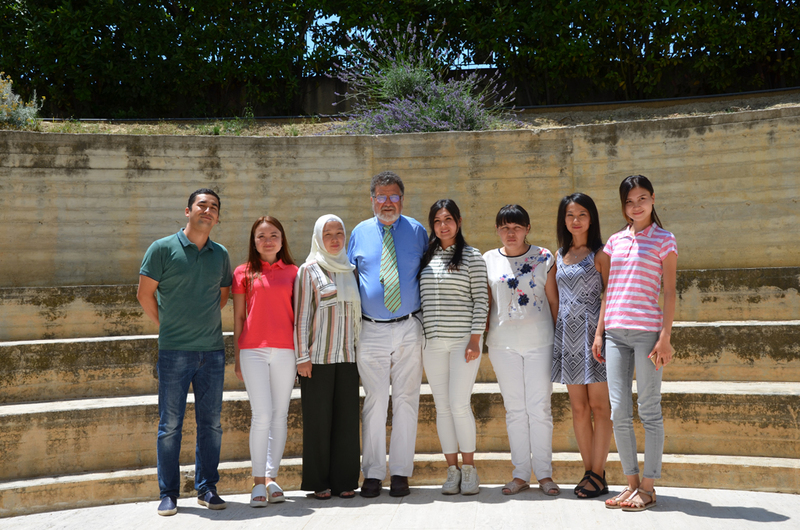 The first group came from 11 to 25 June 2018, and was composed by: Fariza Aitzhan, Makpal Akhmetzhanova, Albina Bazarova, Aizhan Duysenbaeva, Mamak Tangsholpan, Ernat Nurtazin, Balzhan Mamadkarimova and Tileuberdi Akhat. Fig. 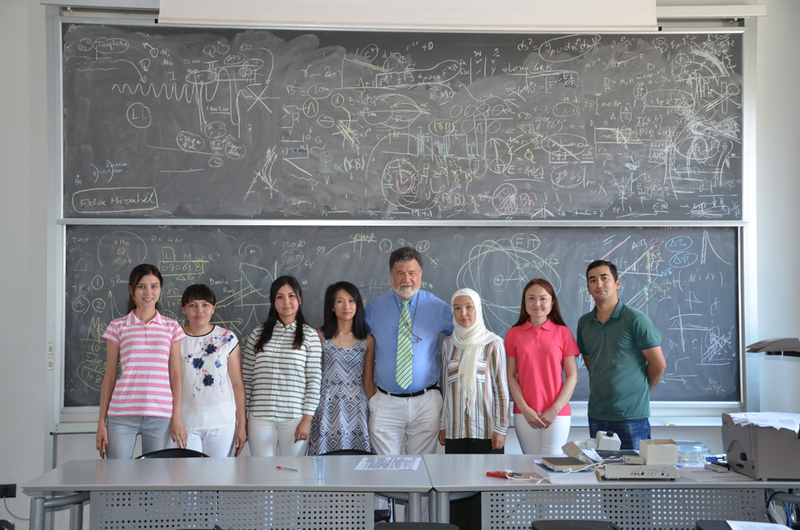 24 - Kazakh students during their visit at ICRANet center in Pescara.